One of my favourite things about visiting Europe is the balconies on buildings. It's a little odd I know but I loved them in Paris too (I took as many photos of them there...) but there is something so lovely about them, I just can't help myself. When I was writing yesterday's post to describe the trams, I couldn't quite seem to find the right words and then Polly (hi Polly!) left a comment saying they were romantic and it hit the nail on the head for me. 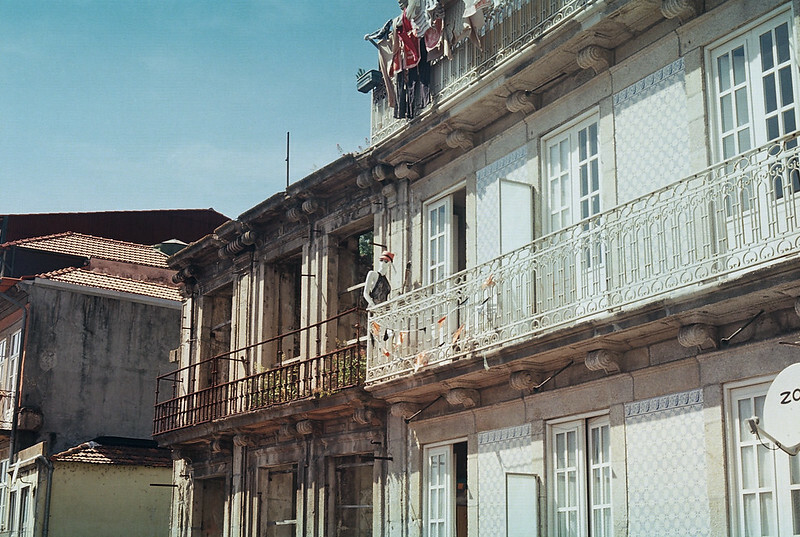 Porto was romantic - not in an over the top, obvious way like Paris can be sometimes, but in a charming, subtle more relaxed way where the colours brightened your day, the little details (like the mannequin and the porcelain dog above, you saw them right?) caught your eye and the people were friendly and enthusiastic. And I think these balconies capture that romantic feeling perfectly too.